Phylogenetic relationships among early crinoids are evaluated by maximizing parsimonious‐informative characters that are unordered and unweighted. Primarily Tremadocian–Darriwilian (Early–Middle Ordovician) taxa are analysed. Stratigraphic congruence metrics support the best phylogenetic hypothesis derived using parsimony methods. 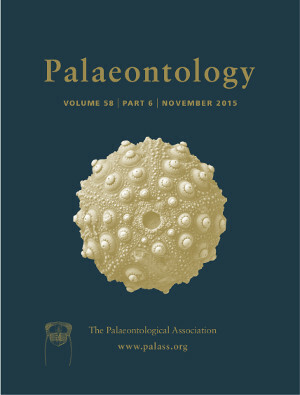 This study confirms the traditionally recognized lineages of Palaeozoic crinoids and provides new information on the branching order of evolving lineages. Camerates are basal crinoids with progressively more tipward groups (from an Ordovician perspective) being protocrinoids, cladids (paraphyletic), hybocrinids and disparids. The Protocrinoida should be maintained, but the Aethocrinida should be placed within the Cladida. The results of this study identify phylogenetic structure amongst the major early crinoid lineages and delineate the relative positions of crinoid higher taxa along a tree. Each valid higher taxon discussed herein requires a comprehensive treatment to delimit within‐lineage phylogenetic relationships.